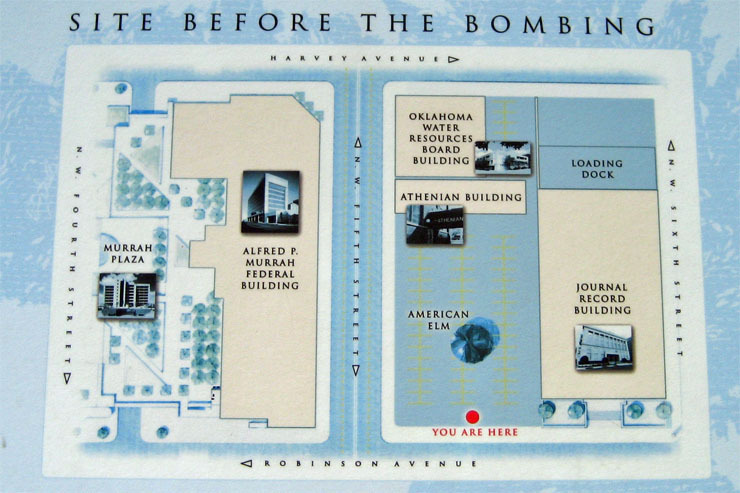 On April 19, 1995 a huge home-made fertilizer bomb was detonated at 9:02 am in front of the Alfred P. Murrah Federal Building blowing up half the building and killing 168 men, women and children. 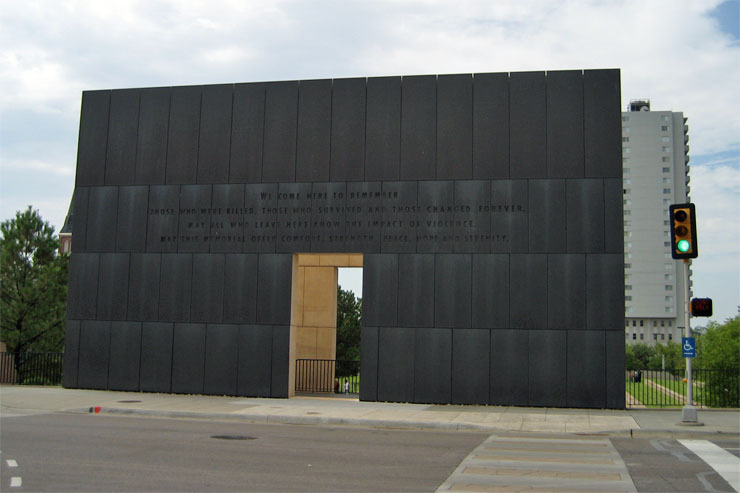 On September 10, 2006, I visited the memorial as I was driving back from Texas. 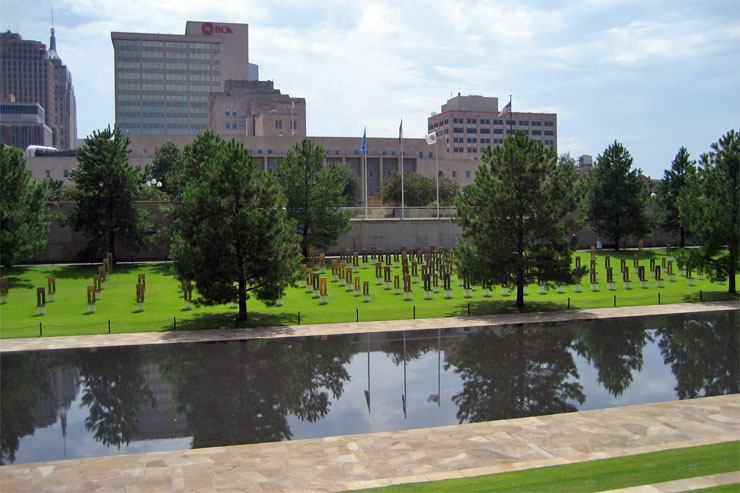 The 10 photographs below include a before and after diagram of the 2 square blocks of Oklahoma City that were transformed into a very tasteful and moving memorial. 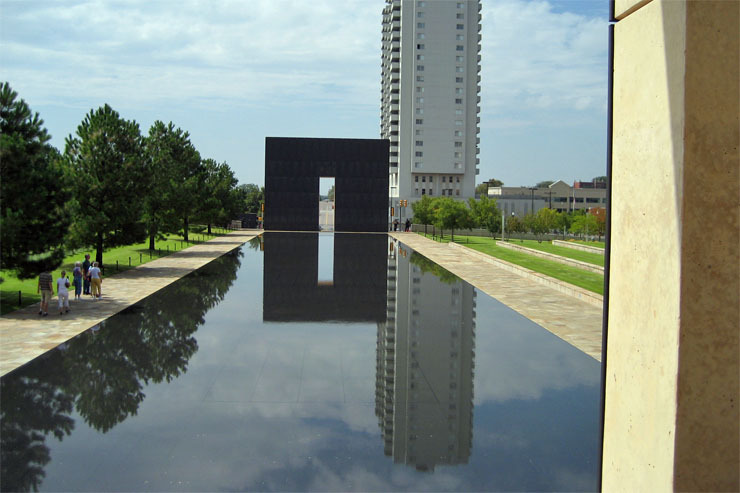 The photos don't reveal that the lawn is in superb condition and the reflecting pool is only a few inches deep. 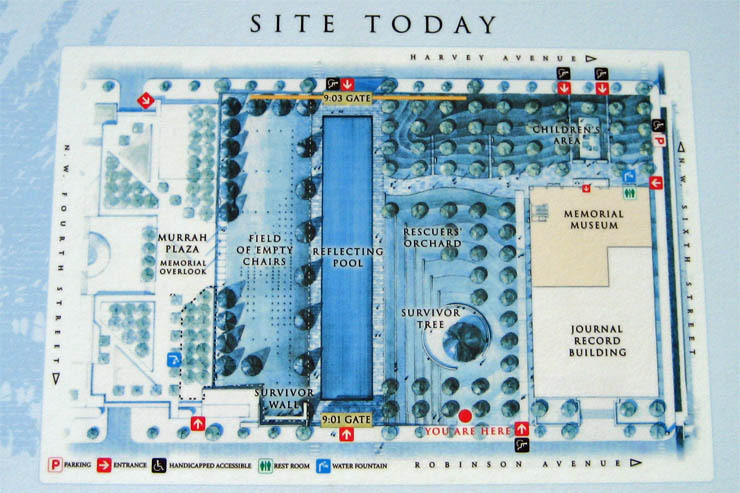 The memorial space has two gates at either end. 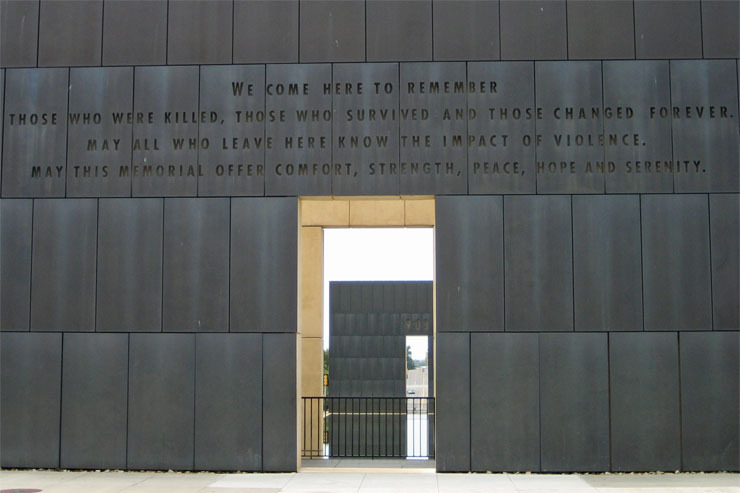 The 9:01am gate represents Before the bombing and the 9:03am gate represents After the bombing. 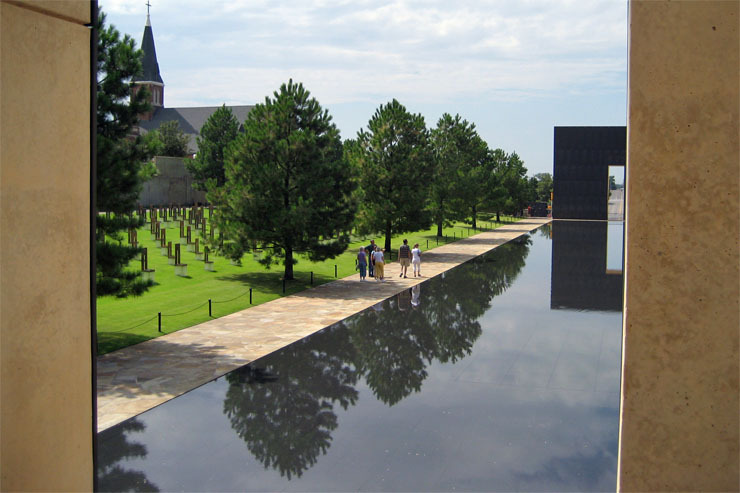 The highlight of the memorial is the Empty Field of Chairs that are arranged in 9 rows to represent the 9 stories of the building. 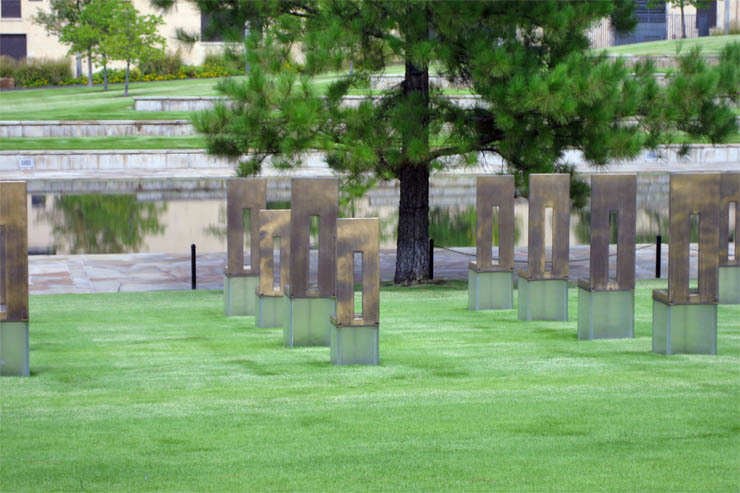 The large chairs represent adults and the small ones, children. 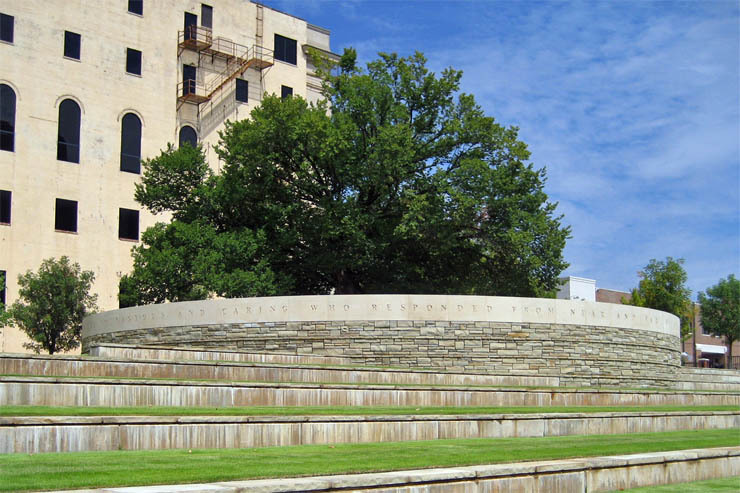 The memorial also has created terraces around the old elm tree that somehow survived the blast of the bomb. 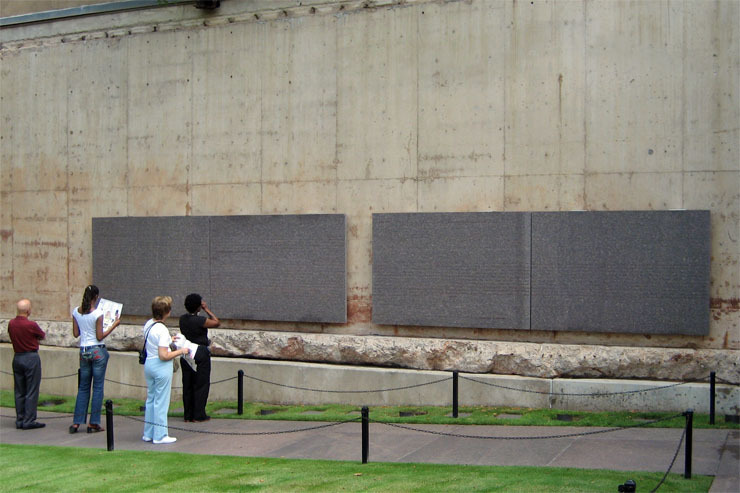 Finally, there are four plaques which contain the names of the 168 people killed.